Rev Tech Sport 101W TC Box Mod REV Tech showcases the Sport 101W TC Box Mod, which offers a whopping 4200 mAh internal battery, accuracy, and sophistication combined with an ergonomic chassis and interchangeable top piece, comfortable to use four button interface, beautiful and robust display technology, and the Venom Chipset. The Sport utilizes the Venom v1.1 Chipset that is capable of 5 to 101W of output alongside a full temperature control support, and a full customization of the vent cover piece and the systems dashboard style display. The Colored HD display features a vibrant display along with multiple arrangements and layouts that users can choose between, offering a dynamic display experience. Powering the entire system is a whopping 4200 mAh internal battery, with a charge port for minimal downtime for that plug-and-go action. The Sport has a reset button located behind the interchangeable vent cover. 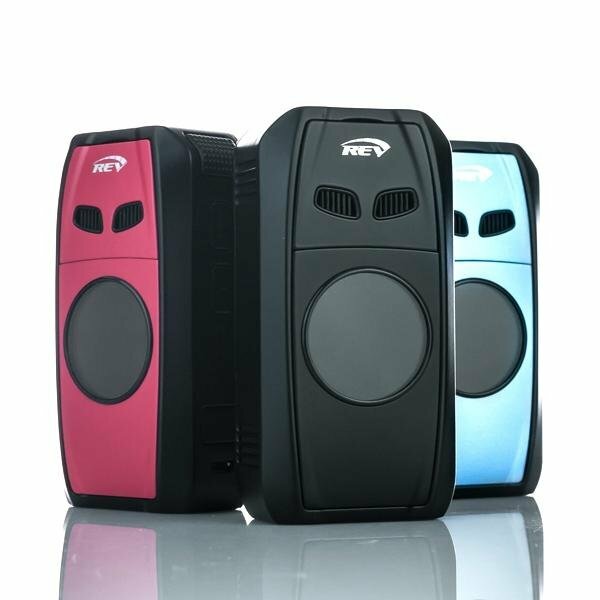 Rev Tech zooms through the competition with the portable Sport 101W TC Box Mod that's both affordable and versatile.